I spent the last week of August 2010 in the USA, with a quick visit to Vancouver Island, trying to see a few new things. Matt Miller came along for the SW bit of the trip and my kids were with me for all of it. We started in Nevada, and thanks to John Fox’s excellent advice found Palmers and Panamint Chipmunks easily. Later that day at Bryce NP we found Utah Prarie Dogs and Uinta Chipmunks. Heading into Arizona that night we got a brief look at what might have been a Chisel-toothed Kangaroo Rat at Vermillion Cliffs National Monument but might also have been an Ord’s. The next morning at the North Rim of the Grand Canyon we found an Abert’s (aka Kaibab aka Tassel Eared) Squirrel in the campsite after a bit of effort and what may have been a Colorado Chipmunk. 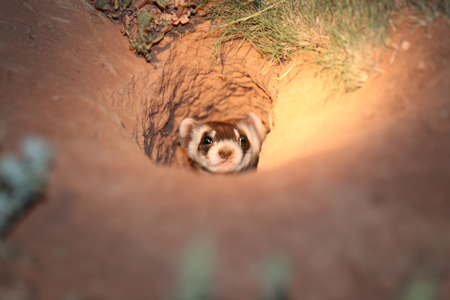 At Seligman that evening, and with the help of Jennifer Cordova and Trent Binford-Walsh from the Arizona Game and Fish Department (and the Ferret Recovery Project), we found Black Footed Ferrets within 5 minutes of turning on the spotlight. 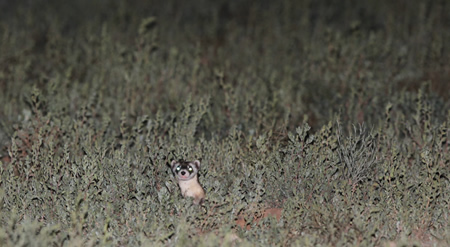 A group of three ferrets were at a den about 50m south of Route 66 around mile marker 127. 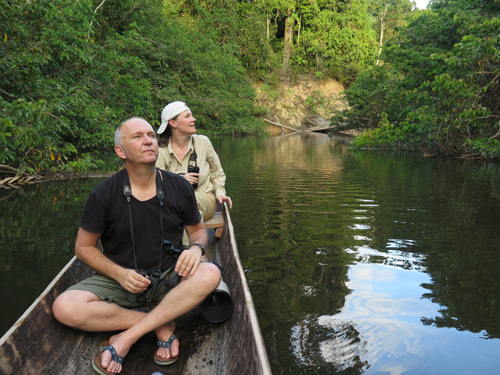 Matt and I could approach the animals to within about 10 metres at which point they finally went underground. But -just as Trent had predicted – when we got to the bolt hole an animal started popping its head in and out to take a peek (and I was too close even to focus properly). 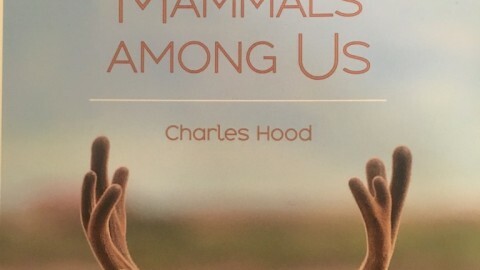 A fabulous 20 minutes of mammal watching! 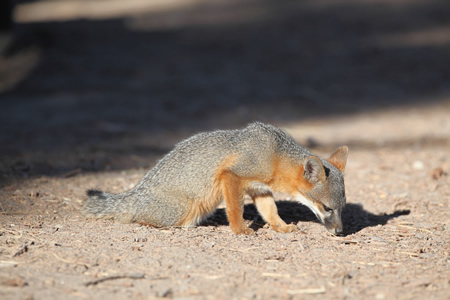 The next day we camped on Santa Cruz Island in the Channel Islands NP just north of LA, primarily to see one of the endemic Island Foxes. The sea was alive with Common Dolphins (I am not sure whether they were Short or Long-beaked) during the ferry trip over, and there were some California Sealions in Ventura Harbour. Fox numbers have recovered very well on Santa Cruz and if you cannot find one you should hang up your binoculars! I must have seen 20 of them around the campsite in the evening, night and morning as well as on the trails (animals in camp were fearless). Strangely I could not find any of the Western Spotted Skunks which are also pretty common though numbers appear to have declined considerably in parallel with the recovery of the fox. 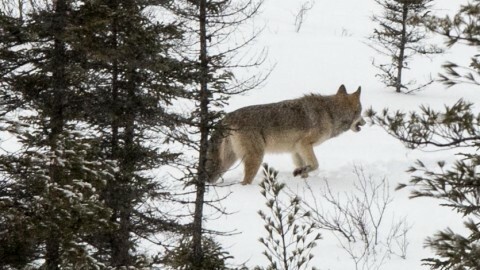 They are usually around the campsite but despite wandering around for 4 hours with a light I couldn’t see one. It was a full moon which perhaps didn’t help but I was told they are much more skittish than the foxes and tend to keep more to the shadows. Frustratingly I met a fox researcher who had just finished trapping on the island and had caught a Skunk that morning (as she had done every morning she had set her traps). 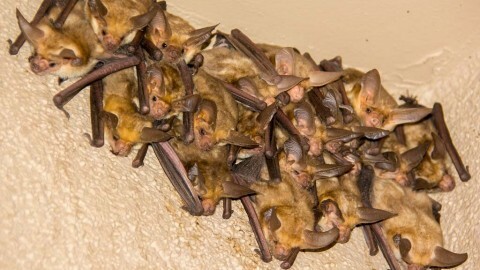 Townsend’s Big-eared Bats roost in the old bakery next to the visitor centre and you can watch them leave the roost (through the bakery door at dusk) though access to the building is blocked off. There was a Harbour Seal hanging around the Scorpion anchorage too. 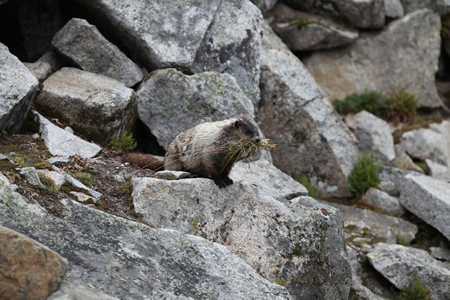 From there I headed up to Washington State, and to Olympic National Park, where I finally caught up with the Olympic Marmots. The rangers at Hurricane Ridge said the only way to see one was to walk a couple of miles along the trail at the end of the tarred road, but after 5 minutes of my 6 year old whinging I decided that this wasn’t an option. 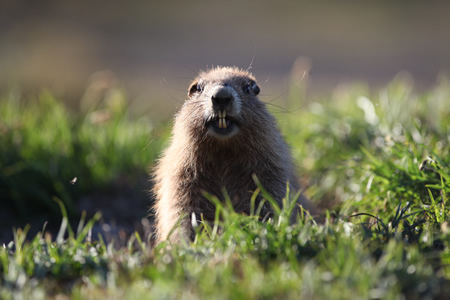 So I drove along Obstruction Point Road and found Marmots easily about a mile or two from the end of the road, on the left hand side (travelling away from the ranger station) in the first bit of alpine meadow that you see. There were several Marmots here, their whistles carried for miles, and one at least was very approachable. On Vancouver Island we had a good morning on an Orca watching trip but failed to see Vancouver Island Marmots on Mount Washington further north, though a couple of Black Bears were nice. A brief stop at Mount Rainier on the last day wasn’t enough time to find a Cascade Golden Mantled Ground Squirrel but we did see a Hoary Marmot. 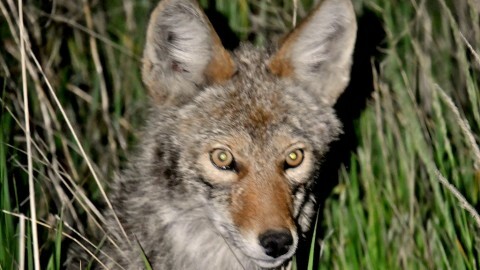 Thanks very much to everyone who helped, especially John Fox on this blog and Jennifer Cordova and Trent Binford-Walsh from the Arizona Game and Fish Department.